In Wyoming, seventh-graders’ mental gears were turning as they considered their futures. MacKenzie Burgess would like to be a marine biologist or a doctor. Skylar Dornbos wants a career in interior design or as a professional softball player. Sautianna Bautisa-Chavez sees herself as a poet, singer or NASA scientist. Martin Martinez wants to be a basketball player. Nikki Marcano isn’t sure what she wants to pursue for a career, but she wants to learn about many things. Lucky for them, no matter what their goals, local educators are joining forces to help students navigate where they want to go. Grand Rapids Community College is the recipient of a $2.1 million, six-year grant from the U.S. Education Department. The Gaining Early Awareness and Readiness for Undergraduate Programs (GEAR UP) initiative is beginning to take shape, serving Wyoming, Kelloggsville, Godwin Heights and Godfrey-Lee students. It will include mentoring, tutoring, study skills workshops, college visits, career exploration and summer enrichment programs. Wyoming Junior High recently hosted a parent information night and other districts plan to also host informational events. While details are still being finalized, GRCC is hiring a program director, success coach, advisor, evaluation consultant and tutor to work with a cohort of 800 seventh-graders in the four districts. 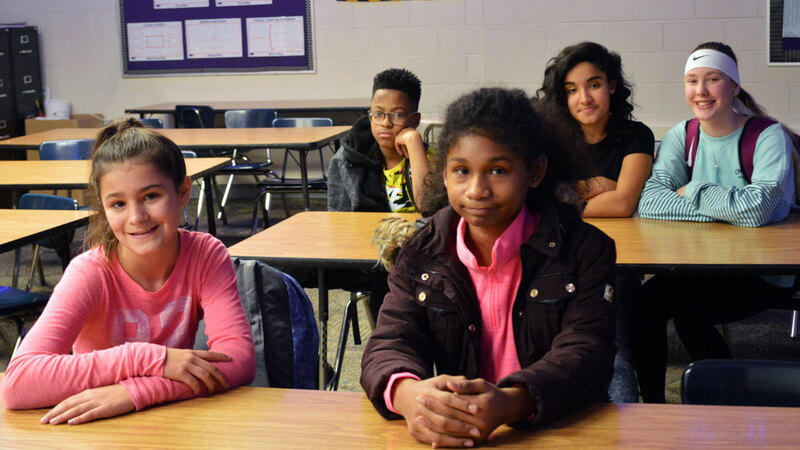 Dan Clark, GRCC dean of academic outreach, said the seventh-grade cohort will serve as a research group to study the impact of GEAR UP on retention rates, graduation rates and enrollment in post-secondary education. All grant money will stay with the group, the only cohort to receive the GEAR UP funding. Impact on academics will be measured through the years. Blackburn said he’s excited for what the program brings in the area of career exploration and building awareness of skilled trade opportunities. Math is a major focus. Students could take math placement tests for a baseline assessment of proficiency. The program will include online and traditional learning opportunities. Involvement will be optional, including in a summer academy, expected to start this year. Research says seventh and eighth grades are the grade levels that have the biggest impact in college. “If you have kids who are ready in seventh-and eighth-grades, chances are they will be ready in high school,” Blackburn said. 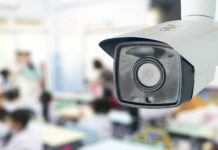 “This is planting the seed for them to grab ahold of something that they can have some accountability and responsibility to, but have some choice in the matter to,” said Craig Hoekstra, Wyoming Public Schools Superintendent. Kelloggsville Middle School Principal James Alston said GRCC will help fund an after-school tutoring program already in place. 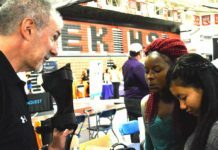 He said he’s eager for his students to take part in a comprehensive, wrap-around program that moves them toward post-secondary opportunities of their choice. He’s curious to see results after five years of the program. “The idea now is to lay that foundation,” Alston said. Hoekstra said students will benefit by developing math skills and soft skills needed in the workforce like problem-solving, collaboration and critical thinking. GRCC offers dual-enrollment courses in partnering districts, including the Wyoming Middle College Program at Wyoming High School, through which students can earn an associate’s degree for free. “For me this advances and expands the relationship and partnership we have with these schools and school district,” Clark said.